A potential breakout season for Forrest Whitley has officially turned into a lost campaign for the Astros' prized right-hander. MLB.com's No. 7 overall prospect was placed on the 10-day disabled list Tuesday with a lat strain after he was scratched from his last start due to discomfort in his lat. With the Texas League season ending next week, Whitley finished with an 0-2 record and a 3.76 ERA in eight starts for Double-A Corpus Christi. The top Astros prospect received a 50-game suspension in February for an unspecified violation of the Minor League Drug Prevention and Treatment Program. 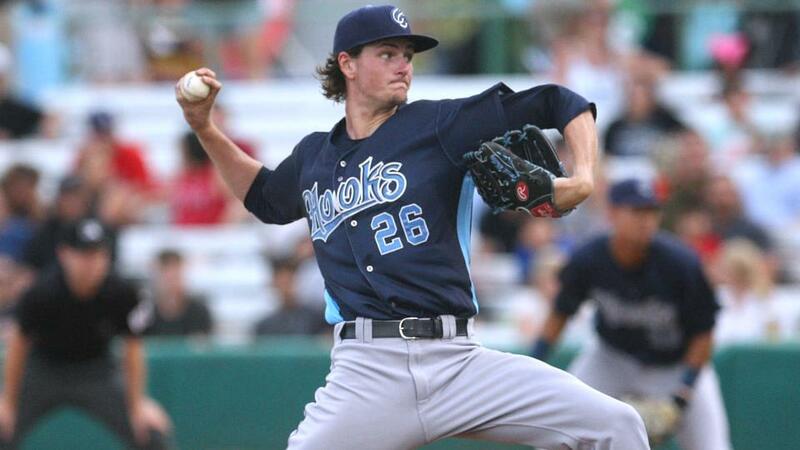 He returned in impressive fashion in early June and allowed five hits and three walks while striking out 18 over 12 scoreless innings in his first three starts with the Hooks. In his next two starts, Whitley surrendered 10 runs on nine hits and four walks over 8 1/3 innings, then recorded only two outs on July 5 against Arkansas before leaving with left oblique discomfort. He was placed on the seven-day DL less than a week later and missed a month, returning for two starts in August in which he yielded one run on one hit and three walks over 5 1/3 innings. While he was unable to build momentum toward a promotion to Triple-A Fresno or the Majors, Whitley likely will get a chance to impress the organization in the offseason -- potentially in the Arizona Fall League. "He's young and a lot of young pitchers, especially in the Minor Leagues, have seasons like this where [through] some combination of events, they don't get as much done as they like to," Astros general manager and president of baseball operations Jeff Luhnow said. "For him, the focus is getting in a position where he can come to camp next year and impress [manager] A.J. [Hinch] and the staff and ... to be a reasonable option at some point next year. I think he certainly can accomplish it." Selected 17th overall in the 2016 Draft, the 20-year-old had a breakout season a year later. He started the campaign at Class A Quad Cities and ended it with Corpus Christi and combined to go 5-4 with a 2.83 ERA and 143 strikeouts over 92 1/3 innings.